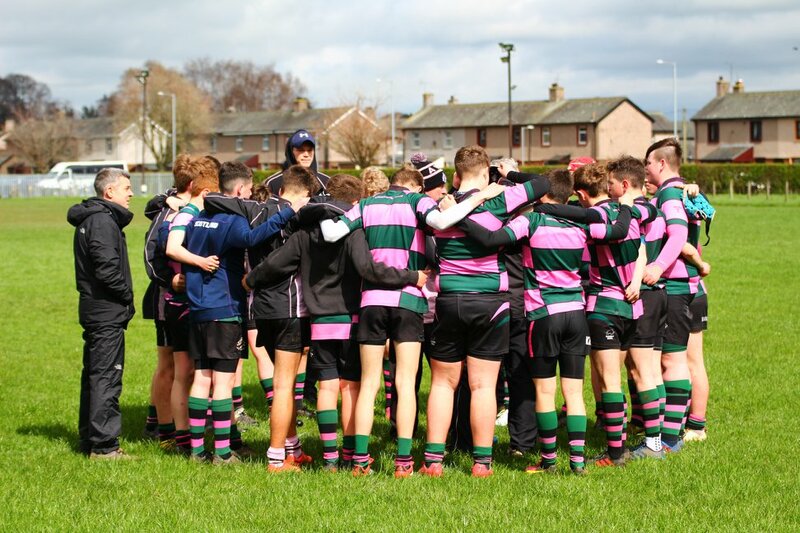 The 1st XV season may have drawn to a close but their was still plenty pink, black and green action over the weekend. On Saturday Millbrae continued their rich vein of form with an impressive 27-31 win over Lenzie RFC. The away victory moves them out of second-bottom and further into relegation safety. They will look to emulate their heroic performance this Saturday when they host Birkmyre. The match kicks off at 15.00 at Millbrae. On Sunday our ladies battled hard in their last game of the season away to Watsonians but errors cost them dearly. Playing on the back-pitches at BT Murrayfield they struggled to pull out of second gear and fell 97-0. The defeat marked Laura Turner's last game as skipper. There was also plenty action for our Ayr-Wellington Youth teams on Sunday. Through in Stirling our primary 4s and 7s won the 'Fair Play Award' in their respective year groups and William McHarg won 'best floss dance' in a dancing competition between all at the tournament. In Dumfries our U-15s cruised to the West of Scotland Cup Final with a 0-55 victory. The final is scheduled for Sunday April 29 where they will face GHA at Millbrae. KO is at 2pm. 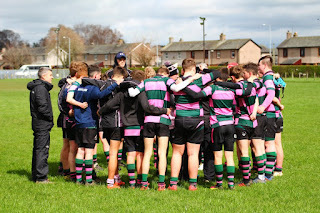 Closer to home the U-16s followed in the footsteps of the year below, seeing off Hawks 27-26 to secure a spot in their West of Scotland Cup Final. Coming from behind, the game went down to the wire where a penalty kick stole victory in injury time. The U-18s face GHA away from home, kicking-off at 2pm.